First and foremost, we're here to teach students to be critical thinkers, lifelong learners and global citizens. The University offers faculty avenues to build their teaching skills and aid professional development. Our creativity isn't confined to the art studio or the theater or a work of literature. It's also in the creative solutions we find to complex issues of delivering education in many forms, being responsive to each student's uniqueness to ensure student success. 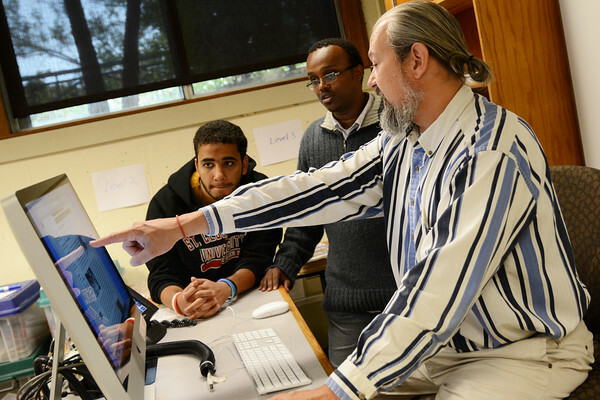 We encourage the research, travel and intellectual curiosity that help faculty teach students to be critical thinkers, explorers and communicators with a world view . We celebrate the work of faculty who, through scholarly dedication and intellectual passion, achieve acclaim, success and recognition for their work. Our aim is to be responsive to each student's uniqueness so we can draw the best from them. That means we're not afraid to try or even create new methods of delivering education and inspiring learning to ensure student success. College of Liberal Arts faculty step up to leadership positions across the campus and in the community. You'll find us helping the university plan, grow and change to meet new demands of higher education. You'll find us sharing our knowledge and expertise of the humanities with the community beyond the University and with the next generations of learners.